Apple talked about many things at its Worldwide Developers Conference earlier this month, but one that got relatively short shrift was the Apple Watch. Now more than two years in, the Watch has undergone a major transition from the product that was first announced, focusing in on specific uses like notifications, health, and fitness. As with so many ideas of this sort, this one grew out of personal experience. A few days ago I woke up feeling cruddy: hacking cough, runny nose, and generally resembling someone who’d been run over by a truck. At one point, I checked my Apple Watch to see if my heart rate was elevated—it wasn’t, particularly—but that got me wondering if there was information that could be collected and analyzed in such a way as to predict when you might be under the weather. Apple’s already got some of the tools that it could bring to bear on this problem. 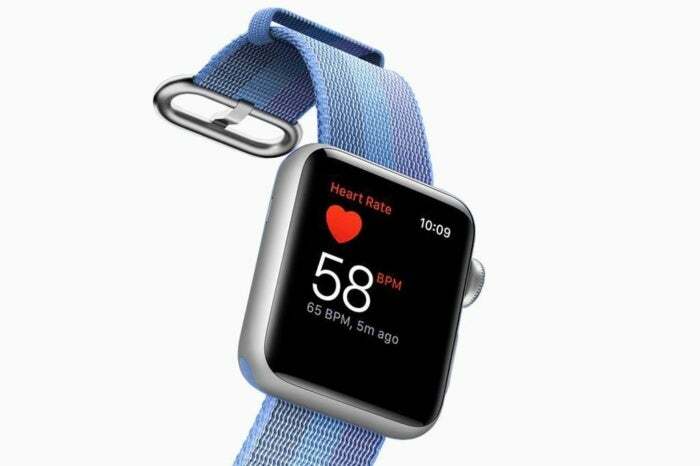 The Apple Watch incorporates that heart rate sensor, for one thing, and it also collects information about your activity. Perhaps other sensors could be devised to monitor your temperature or other vitals. But what really needs to be brought to bear on this problem, however, is Apple’s machine learning algorithms. Analyzing patterns like this should be one of machine learning’s strengths. If you could feed it a bunch of data about your health, combined with an assessment about how you’re feeling, then perhaps it could start building out models to let you know “Hey, you might be getting a cold!” It’s not going to let you prevent getting sick entirely, of course, but you might be able to minimize such an effect by using proactive measures like taking it easy, hydrating more, upping your intake of vitamin C or those zinc lozenges–whatever works for you. In the same way that the Apple Watch reminds you to stand up or to breathe, it could instead give you prompts to take other actions that might help improve your health and wellness or to stave off illness. Likewise, you may be able to eventually use this information to help other people, by reporting on what makes you feel better and then distributing that information to others—and them with you. Sure, alerting people to the possibility that they have a cold is hardly one of the big problems in health. It’s not curing cancer or heart disease or diabetes. But even these small things have the potential to improve a lot of people’s quality of life, and they’re far more broadly applicable to the populace at large. More to the point, these sorts of small improvements can lead in turn to bigger implications. Tracking the spread of certain diseases or patterns of progression for colds and other viruses, for example. Or being able to expand health collection information over a broader swath of the population. Apple’s already started down this road with its ResearchKit, which provides a framework to let health professionals and researchers collect information for studying health issues, and CareKit, which lets developers write apps that help people deal with their own medical conditions. One story in particular, though, stands out in this arena: the report that the Apple Watch can reliably detect atrial fibrillation, which is often hard to recognize, even for the person experiencing it. I can speak to this, as one of my close family members has suffered from this condition for many years. While this kind of detection is a far cry from being able to treat the problem, it at least offers a peace of mind by giving a feeling of some agency over this kind of chronic and seemingly random condition. I continue to believe that health is a big part of the Apple Watch and whatever other wearable devices Apple might make. While I applaud watchOS 4’s improvements, especially in the realm of personalized fitness notifications and challenges, I’m hopeful that Apple will continue to focus on these sorts of wide-ranging, envelope-pushing improvements that have the potential to change the way we think about our health on both a personal and a community-wide basis.